E3 isn’t all about the AAA games, from time to time, and probably a lot more often nowadays, we get to see some real gems emerging from indie developers. 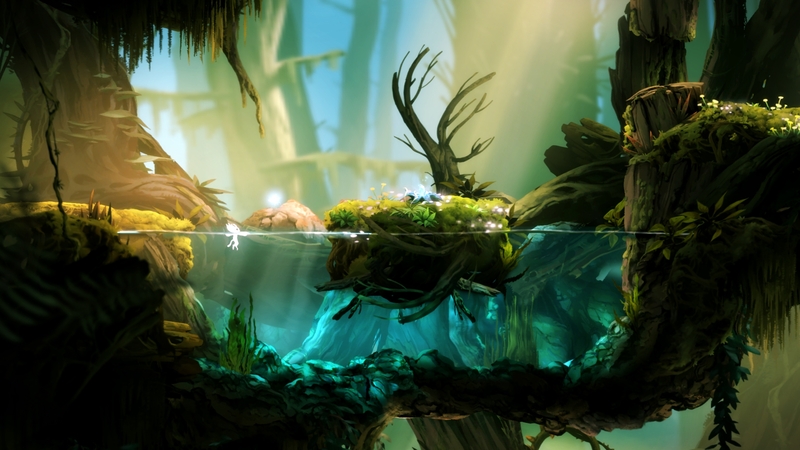 This year, during Microsofts conference we were introduced to Moon Studios, and their game ‘Ori and the Blind Forest’. When I first saw this trailer during the show it gave me goosebumps. I don’t really know what it was about it, but it just really moved me. The music was beautiful, the visuals of the game look stunning, it just looked incredible. I’m really pleased to see some top notch looking indie games coming to the Xbox One as well. A lot has been said about Microsofts policies regarding indie developers, and a lot of people have talked about how they’ve made it more difficult than it should be and put unnecessary restrictions in place around publishing games with them. But the ID@Xbox program seems to be growing nicely, and this game will no doubt be an excellent edition to the line up. Ori and the Blind Forest is a ‘Metriodvania’ platformer where you control Ori, a nimble little white bunny forest spirit. You will also accompanied by another spirit called Sein. Sein will help you out with puzzles and combat during the game. Throughout the game you can earn ‘spirit lights’ which are essentially your experience points, you can then use these to unlock new abilities such as new attacks among others. The game has taken a rather interesting approach with regards to saves. Essentially what you can do is create your own checkpoints, but only if you have collected enough spirit energy. Spirit energy is hidden within the levels and is collected from enemies, but it is also scarce. So with the games surprising level of difficulty you must use it wisely. The game is due to come later this year to Xbox One and PC. As of right now, its looking like it will be a brilliant game. This looked incredible. One of the highlights of E3 for me as well.